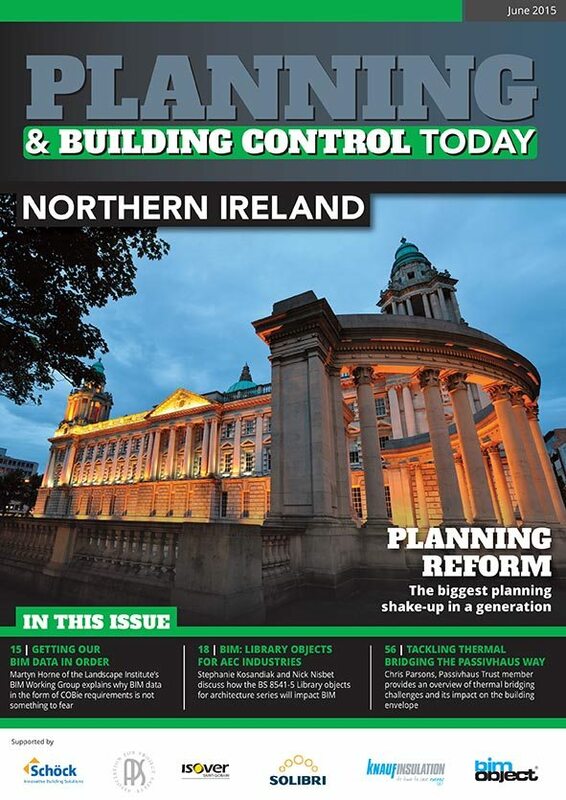 Welcome to the Summer edition of Planning and Building Control Today Northern Ireland. We are only a few months into the biggest planning and local government shake up in a generation for Northern Ireland, so PBC Today asked Turley Belfast Office Director Michael Gordon to provide some early thoughts. He discussed how the first round of Planning Committee meetings has passed off largely uneventfully with applications decided being generally of the garden variety, rather than controversial. The overarching feeling is that Councillors have been getting used to the new process in a polite and professional manner, being something of a “pre-season friendly for the key players”. We also turn our attention in this edition to the contentious subject of flooding. According to recent figures, one in six homes are now under threat of flooding from rivers, sea and surface water. Dr Stephen Garvin, Director at BRE’s Centre for Resilience discusses their flood resilience policy paper ‘A Future Flood Resilient Built Environment’ which calls on government to adopt a new approach for tackling flooding which is a risk to over five million homes in the UK alone. As ever, BIM is never far from the headlines in the construction world, and PBC Today follows the development with several articles to educate and inform. We kick off the BIM section with Stephen Hamil, Director of Design and Innovation at the NBS, who outlines how the NBS BIM Toolkit has been received around the country and what happens next. The NBS-led team has been working hard to ensure the BIM Toolkit is easy to use and offers step-by-step support to define, manage and verify responsibility for information development and delivery at each stage of the asset lifecycle. Finally, we address the difficult issue of how to tackle thermal bridging, concentrating on the Passivhaus method. Chris Parsons, Director of Parsons & Whittley Architects and Passivhaus Trust member provides an overview of thermal bridging challenges, how to address them effectively, and its impact on the building envelope in terms of the performance gap. The topic can be a difficult one to grasp, but if we are ever to improve our energy efficiency and reduce carbon impacts, it is one that must be addressed. We hope you find something of interest in this edition and welcome your thoughts and suggestions on this issue, and also for future editions.